No work update or anything this time—just a goofy little project. 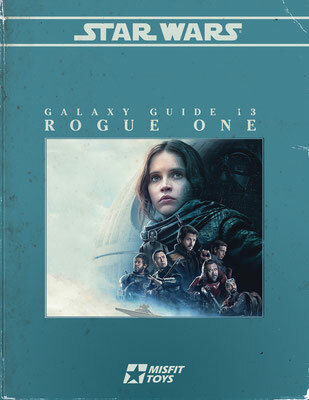 Years ago, I was a freelancer, then editor, then line editor, for West End Games' Star Wars roleplaying game line. 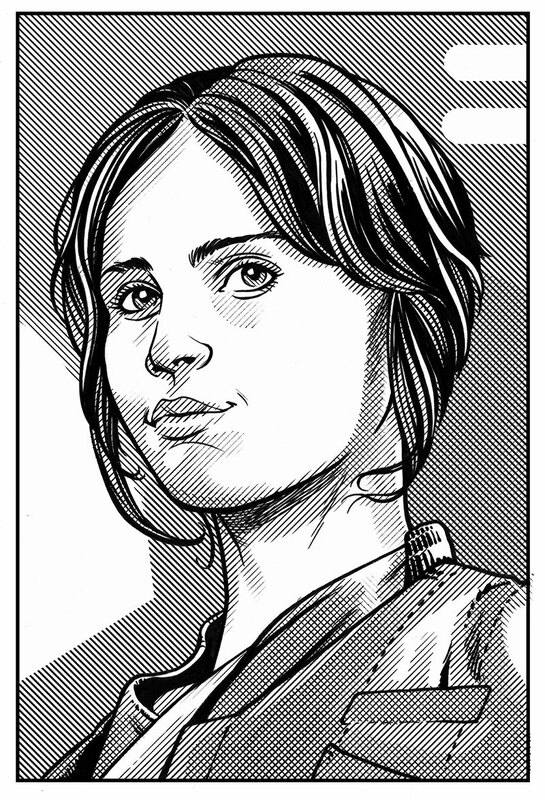 An illustrator friend, Darren Calvert (who I have wanted to work on something with for more years than I care to count), recently sent me some portraits he'd drawn of the Rogue One primary cast and asked if I wanted to "stat" them in the style of the WEG Star Wars RPG. He'd drawn them very much in a style reminiscent of the WEG material, and as I began to hunt for reference material to begin writing up the characters' game stats, I thought it might be fun to not just post the stats, but to lay the whole thing out like an old WEG product. That led to a week of design necromancy—trying to remember the approved font choices, the paragraph styles, and so on, in order to create a faithful reproduction (though I did tweak some things that always bugged me, including the "opening crawl"); it's close, but some of it, by design, authentic enough without being a straight up reproduction. It occurs to me: Much of what I know about page and logo design actually came from sitting in the West End art department, peppering the guys in there with a million questions, so thanks (for many things) are due to Tom O'Neill, Brian Schomburg, Tim Bobko and Stephen Crane. Thanks are also due to Darren, who is a hell of an artist and a great guy into the bargain. Thanks for reaching out, my friend. I should also point out: these are NOT NOT NOT NOT NOT NOT NOT "official" or approved in any way—I researched the entries just as I would've back in the WEG days, by culling through what official material is available publicly (notably the movie adaptation novel, and the Rogue One visual guide). But I have friends at Lucasfilm, so I want to make sure there's no confusion here. This ain't a real thing—just some goofy fun. It's not for sale, Darren and I don't own the characters, we're not challenging the copyright, we're not using it to make money, and speaking purely for myself, it's not intended as a resumé piece—it's just fan-work. Hopefully, it will amuse any of you old-school D6-system fans out there. There are two versions of the PDF available: a "mint condition" one, and a "vintage" one that's been digitally weathered and "aged." (An aside: about the West End Games "sticker" on the inside front cover; one of my first tasks at WEG was taking a bunch of our shipping labels, cutting off the top part containing the company name and address, and stickin' them on the inside front covers of a bunch of the editorial reference library books to mark them as company property.